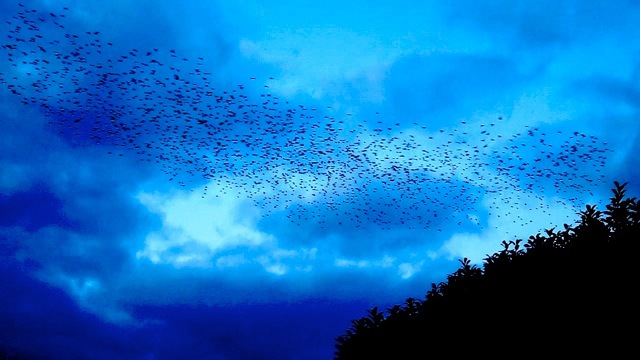 Not only is ‘murmuration’ one of the most beautiful and mysterious sounding words in the English language, it is also one of the most beautiful and mysterious sights in nature. And, it is happening out in the countryside and by the coast each evening, just as dusk falls, every day at the moment and will continue for a few weeks more if we are lucky. 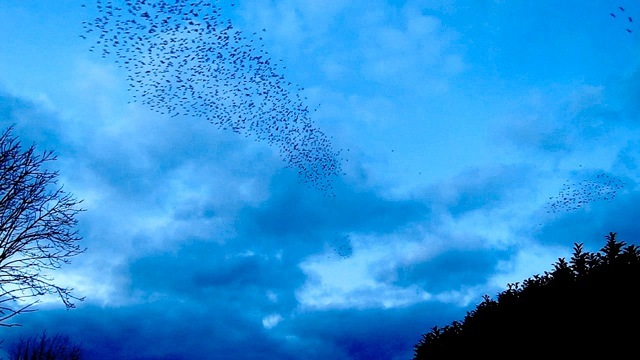 In fact, you could say there is a murmuration proliferation in celebration of the first stirrings of spring. 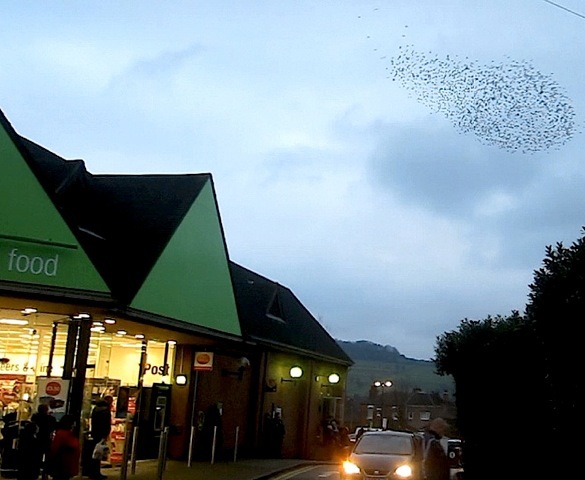 More surprisingly, it is also happening over the Co-op in the centre of my home town of Belper in Derbyshire and it is causing quite a stir! 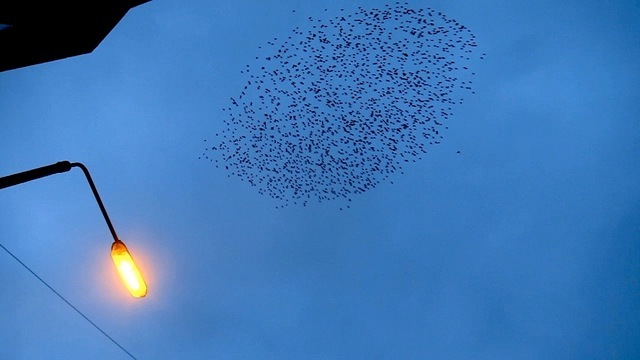 These flocks of starlings are having quite an effect on the population of our lovely town. Each evening a small crowd gathers to ‘ooh’ and ‘aah’ and swap amazed exclamations at the wonder of nature and the sheer exuberance of the aerial display they are being treated to. These small exquisite birds have brought together young and old; friends, family members and strangers; to share a joyful few minutes together in unity. And, as if all of this was not reason enough to stand out in the cold at 5pm on the edge of a town centre supermarket car park in February, the best is yet to come! The climax of the show is marked by a sudden dive by one bird, followed in rapid succession by a whole stream more, looking for all the world like wind-torn leaves being whipped to the ground by a sudden tornado, and an ear-splitting crazy tweeting as thousands of birds find a place to roost for the night in the space of a few seconds…truly spectacular! Last night this finale was greeted by spontaneous clapping and cheering! To rising, diving, spiralling in unity. And may our dreams be true. Until the next time , that’s the end of my murmuration contemplation …happy gazing!